High-end timepiece complements the fourth member of the Range Rover family. $50,895 will buy you a shiny new 2018 Range Rover Velar in the base version, but you can spend as much as $90,295 on a top-of-the-line model. Should you be willing to reach deeper into your pockets, the coupe-ified SUV now has its own matching watch available for a cool $8,700. Known by its full and rather lengthy name as the “Zenith Chronomaster El Primero Range Rover Velar Special Edition,” the new timepiece is the second to come from the collaboration between Range Rover and Swiss watchmaker Zenith. It follows the launch of a similar high-end item in September 2016 to complement the Range Rover in the SVAutobiography Dynamic trim. The new watch is currently on display at the 2017 Geneva Motor Show alongside the Range Rover Velar to celebrate the tie-up between the two parties. It features a bespoke ceramized aluminum case and comes with a 42-mm case featuring an elegant burnished copper finish combined with a brushed slate grey dial and three chronograph sub-dials. It also boasts a date indicator in the six o’clock position and has the words “Range Rover” and “Velar” engraved on the partially transparent underside. The two companies have joined forces to create a new strap for the watch, which makes use of dark grey diamond-perforated calfskin covering a rubber strap. Interestingly, the calfskin is part of the very same type of Scottish leather adorning the interior cabins of Land Rover’s Range Rover models. If you’re only interested in the car, below is a trio of fresh promotional videos released by Land Rover to show off the Evoque’s bigger and more upscale brother. Sales in the U.S. are slated to kick off this summer following the Velar’s American debut next month at the New York Auto Show. To celebrate the launch of the new Range Rover Velar, the fourth member of the Range Rover family, Swiss watchmaker Zenith has unveiled the new Zenith Chronomaster El Primero Range Rover Velar Special Edition watch. In 1969 the Rover car company embarked on a project that would go on to define a new category combining luxury and all-terrain capability in a vehicle – the premium SUV was born. The new vehicle wore Velar badges in testing, taking its name from the Latin velare – translated ‘to veil’ or ‘cover’ – before being christened Range Rover at launch in 1970. That same year, Swiss watchmaker Zenith presented a fully working prototype of the world’s first self-winding chronograph movement, which it named ‘El Primero’ – ‘the first’. Capable of recording elapsed times down to one-tenth of a second with its ‘high beat’ oscillator, it was the most accurate wristwatch ever made. 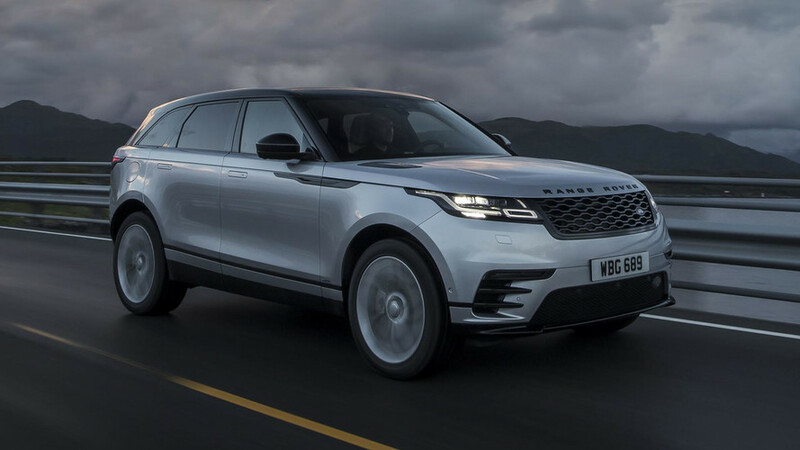 Almost half a century later, this spirit of innovation continues as an integral feature in the DNA of both brands, with the simultaneous introduction of the all-new Range Rover Velar mid-size luxury SUV, and that of a complementary new time-piece. Today in Geneva the Zenith Chronomaster El Primero Range Rover Velar Special Edition – the second product in a long-term partnership between the two – was presented for the first time. Specially co-developed by design and technical engineering teams working in close harmony, the El Primero Velar chronograph features a custom ceramised aluminium case and a high beat movement of 36,000 vibrations per hour (VpH). El Primero Velar is a wrist-worn symbol of the lightweight high performance, elegant simplicity and visually reductive qualities of the all-new member of the Range Rover SUV family. Following the first co-developed chronograph from the two brands’, the El Primero Velar maintains its position as the most precise series mechanical movement on the market. The El Primero Velar features a 42mm case finished in high contrast burnished copper, a brushed slate grey dial, three chronograph sub-dials, date indicator at six o’clock, and a robust winding crown paired with two functional push pieces. The underside of the watch reveals the Range Rover and Velar names engraved on the oscillating weight and the retaining ring of the transparent caseback. El Primero Velar is presented with a new co-developed strap, in sustainable rubber and coated in with dark grey diamond-perforated calfskin. The strap’s calfskin is of the same fine Scottish leather as featured in acclaimed Range Rover interiors, secured with a triple folding clasp in DLC-treated titanium. Mirroring the glamour, modernity and elegance of the Range Rover Velar SUV, the El Primero chronograph has been designed following an unwavering philosophy of reductionism, while incorporating groundbreaking technology, compelling style and absolute attention to detail. Perfectly optimized proportions and functionality symbolize the elegant simplicity, sophistication and refinement befitting the Velar nameplate. The Range Rover Velar brings a new dimension of modernity, elegance and a touch of glamour to the Range Rover family. The Chronomaster El Primero Range Rover Velar, created with these very same principles, comes with a bloodline like no other and is refined for every occasion. It will stir the emotions. 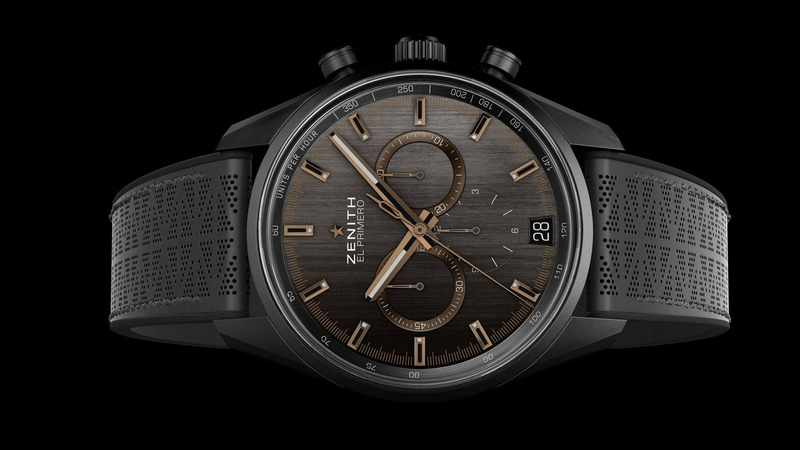 Zenith stands for art, tradition, culture and precision timekeeping. It is essential that we preserve these qualities, as they all belong to our more than 150-year-old DNA. The Chronomaster El Primero Range Rover Velar shows how both companies share a determination to find a harmonious way of connecting our tradition to the future, while showing respect for our iconic products.